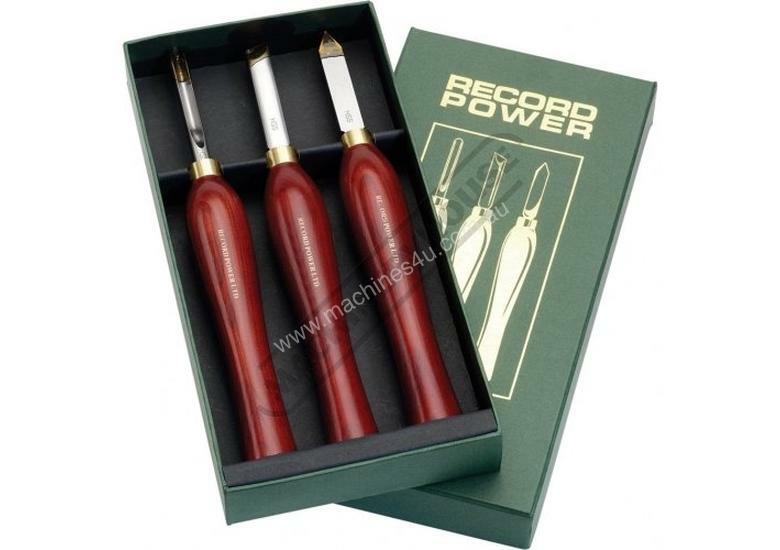 Record Power RPCHSP3 HSS Pen Turning Tool Set. 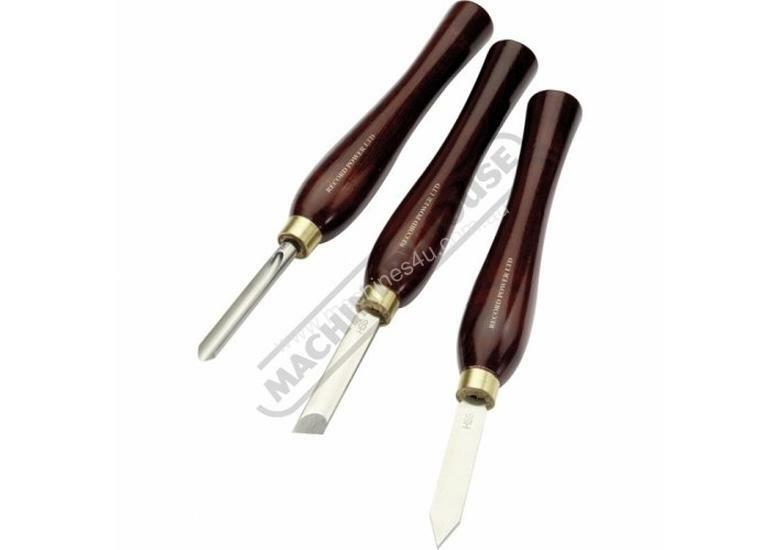 These sets offer increased value for money over individually bought chisels and comprise the most popular and useful chisels, making them ideal choices for the vast majority of wood turners. (HSS) High Speed Steel material composite is W6Mo5Cr4V2, consisting of Tungsten, Vanadium, Molybdenum, Chromium, Sulfur, Phosphorus, Manganese, Silicon & Carbon. These HSS tools have a very high resistance to wear & softening at high temperatures whilst maintaining a good toughness on the cutting edge, that's very crucial in a good quality turning tool as it keeps its edge sharper than normal carbon steel by a ratio of ten to one.